LCD or Liquid Crystal Display is a very important part of many Arduino projects. It can be used to display data received by sensor/sensors connected to Arduino. This video will help you to connect and program LCD with Arduino Uno. What are the required components? The required components are given below. We have also provided links to buy the components from Amazon and Flipkart so you do not have to waste your time in search for the right component. 1. 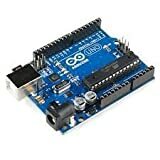 Connect LCD to Arduino Uno. 2. Write a program to display text on LCD. Pursuing Diploma in Electronics from RBS govt. polytechnic college, Bichpuri, Agra. He loves to play with electronics equipment. He makes electronics project for Learn By Watch and helps other electronics students to build electronics projects for science fairs and exhibition.